For over 30 years, RestorationMaster has been providing emergency disaster restoration and cleaning services to both residential and commercial properties in the Collinsville, IL area. When a disaster strikes, there is no time to hesitate in taking action. While there are measures we can take to prepare for the unexpected, it is too late for others. But RestorationMaster specializes in these emergency services, arriving to your property within 2 hours of your first call to restore the structure to its original condition. Aiming for peace of mind, we are available 24/7 and use the highest quality cleaning products and equipment of the industry to get you back on track again. We will also work with your insurance company during the claims process to allow you to focus on other matters during this stressful time. Available 24/7 in the Collinsville, IL area, you can contact RestorationMaster for any of the services mentioned above give us call at (618) 623-0065. 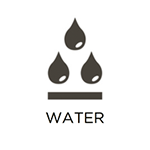 Although water is harmless to us, it’s destructive to building materials. Soaking into drywall, wood flooring, and other porous materials, the damage won’t stop spreading until treatment is made. That is why RestorationMaster considers all water damage as emergency situations. 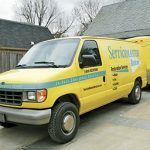 Available 24 hours a day, 7 days a week in the Collinsville, IL area, we provide water damage restoration services for both residential and commercial properties. With IICRC-certification and years of experience, our technicians will restore all areas of your property. From the floorboards to the ceiling, our water extraction and drying equipment will remove the moisture from porous materials, allowing it to evaporate when in the air. 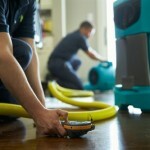 Finding a sewage backup on your property can be one of the worst disappointments, especially after a long day at work. But you should never have to deal with the cleanup job yourself. Not only because you’ve had a long day, but the wastewater is filled with dangerous contaminants that can cause serious health effects if handled improperly. Instead, call the experts at RestorationMaster for emergency sewage cleanup services in the Collinsville, IL area. Our technicians are available 24/7 to assist with the complete restoration of the affected area. From extracting the water to drying out hard surfaces to eliminating lingering odors, you can count on us to have the job completed in a timely manner. We can also work with your insurance adjuster during the claims process to answer any questions or provide any necessary information. 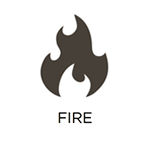 While they may not happen to everyone, there are many possible causes of fires within homes and buildings. Whether a candle was left burning or something had caught on fire from the kitchen stove, the flames will quickly spread throughout the property and destroy everything in its path. 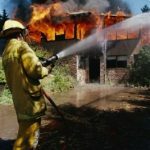 As soon as you have called the fire department to extinguish the flames, don’t hesitate to call RestorationMaster for emergency fire damage restoration services in the Collinsville, IL. Our advanced commercial products are designed to remove etched soot and smoke residue from their affected surfaces. However, it is important that we are called right away to prevent as much additional damage as possible. Don’t hesitate to give us a call as soon as the flames are out. 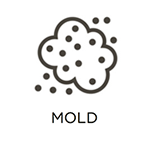 While mold isn’t as destructive as water or fire, it is still able to cause considerable damage and even spread to new areas if it is not treated right away. As if this is not annoying enough, it can also cause allergic reactions, such as itchy eyes, sneezing, coughing, runny nose, and more. If you or a family member has experienced these symptoms, check around for mold, such as in the bathroom, basement, air ducts, attic, or crawlspace. 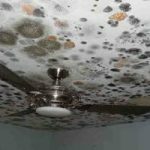 If you have found the fungus, don’t hesitate to contact RestorationMaster in the Collinsville, IL area for professional mold removal services. Our commercial products are designed to penetrate the mold’s surface and destroy it at the source. We will then prevent it from returning in the future by eliminating any remaining moisture. How is the condition of your carpet? If it looks worn-down or extremely dirty, it probably has a lot of embedded dirty and debris within the fibers. While regular vacuuming can only do so much, professional cleaning will really do it justice. RestorationMaster has years of experience in carpet cleaning in the Collinsville, IL area. With our hot water extraction method and high-quality equipment, we can completely transform not only the look of the carpet, but the appearance of the entire room. Because this furnishing is the largest in the room, its condition will have a significant effect on the appearance of the room. Give us a call for more information or to schedule your appointment. The conditions of your air ducts can really have an effect on your indoor air quality. 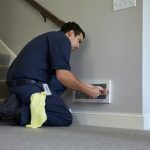 If you or others on the property are constantly dealing with allergies, you may have dirty air ducts. This can also have an effect on your energy bill as your dryer may be working harder than it needs to for drying your clothes. 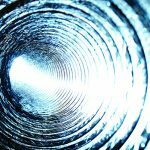 If you check out your air ducts and find a lot of dust and debris, you can call RestorationMaster to schedule a professional air duct cleaning appointment in the Collinsville, IL area. Our technicians will take care of everything from cleaning the registers to the ducts themselves. Call us today if it has been more than 4 years since your last cleaning or the ducts are full of debris. When a natural disaster strikes a property, it can leave it in a critical condition. 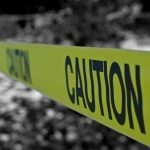 While immediate action is not only necessary to save the property, the experience of discovering the damage is extremely traumatic. But RestorationMaster is available 24/7 in the Collinsville, IL area to provide reconstruction services for homes and buildings. 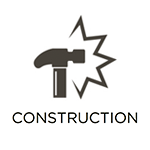 From electrical repairs to carpentry, we will take care of all areas of the reconstruction process. In addition, our technicians will restore any water or fire damage that was caused during the disaster. Using advanced products and equipment to make all necessary repairs, we will transform your property from the ground up, returning it to its previous condition. We will also work with your insurance company during the claims process. 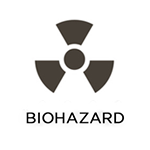 While it can be scary to encounter a biohazardous scene, taking immediate action and staying away from the biohazards is crucial. In order to protect your health and safety, call an emergency cleanup company right after law enforcement to have the affected area fully disinfected and restored to its original condition. RestorationMaster is available in the Collinsville, IL area to provide emergency biohazard and trauma scene cleanup services. Using professional protection equipment and cleaning products, we will remove all biohazards, restore, and deodorize the scene to its original condition. With our services, you can expect the area to be returned to its original condition in a timely manner. Nobody can describe the emotional anxiety an individual affected by hoarding can feel when trying to part with their belongings. 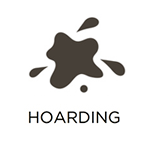 Due to this mental disorder, the hoard of items begin to accumulate and pose dangerous hazards for everyone on the property. But whether the items include books, magazines, newspaper, garbage, and even animals, RestorationMaster provides professional hoarding cleaning services in the Collinsville, IL area. We will put your loved in charge of the entire cleaning process. Odors can be derived from a number of different sources, but not all can be removed with home remedies. Whether the smell came from your skunked dog, cigarettes, or a flooded basement, a professional may be needed to eliminate the lingering odors. RestorationMaster is available in the Collinsville, IL area to provide professional odor removal services for homes and businesses. Our technicians are trained and experienced to use an array of powerful deodorizers, including Nano carbon, thermal fogging, ozone, and hydroxyl technology to penetrate the particles and eliminate them from within. We can also remove the source of the odor, if needed. Finally, we will ensure that all affected areas are restored to their original condition while providing you with the peace of mind of knowing the odor won’t be coming back in the near future. For any of the services listed above, RestorationMaster is available at (618) 623-0065 in the Collinsville, IL area.